My parents came into town last night. And because my Mom and I are both genetically programmed to not be able to sit around and do 'nothing' (thanks Mom! ), I decided to bust out some dice and play Cee-lo. Cee-lo is a kind-of-sort-of an improvised version of craps. That is, it's an easy way to bet money on the outcome of dice rolls. Why Cee-lo, when there are more wholesome games to play like Bananagrams or Farkle? Because Cool Tools promised it was fun and easy to play. And I've got admit, they're right. 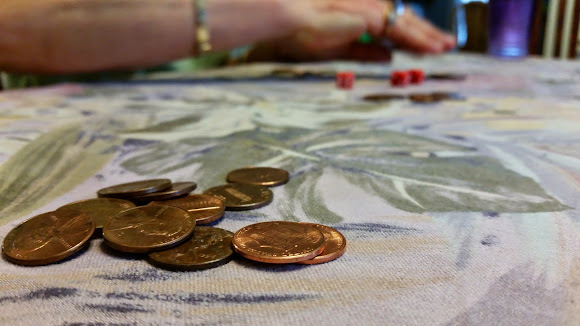 All you need is three dice (or a cell phone to simulate them), a willing player or two and some stuff to bet. It's fun and you can play anywhere. Even at your dining room table while you're waiting for the rest of your family to catch on that it's time to do something. In this version of the game, each round involves two or more players of equal status. 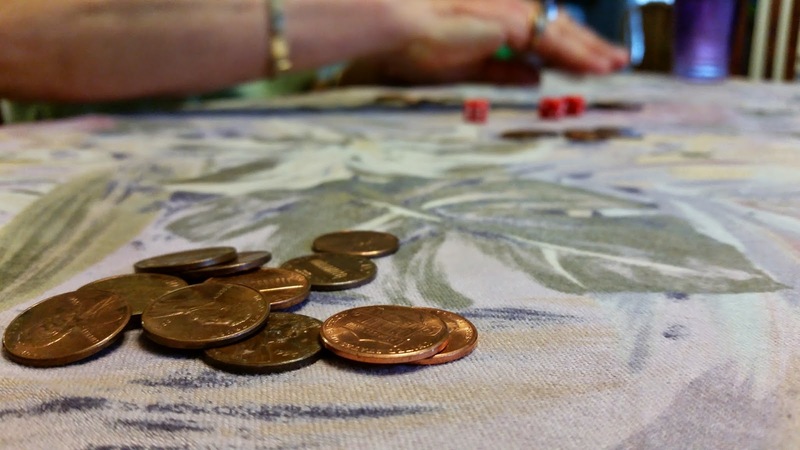 A bet amount is agreed upon and each player puts that amount in the pile or pot. Each player then has to roll all three dice at once and must continue until a recognized combination is rolled. Whichever player rolls the best combination wins the entire pot, and a new round begins. In cases where two or more players tie for the best combination, they must have a shoot out to determine a single winner. Rolling a pair, and another number, establishes the singleton as a “point”. A higher point beats a lower point, so 1-1-3 is better than 6-6-2. Any other roll is a meaningless combination and must be rerolled until one of the above combinations occurs.